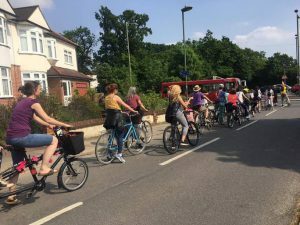 Enfield Cycling Campaign | Enfield borough branch of the London Cycling Campaign. We are the Enfield branch of London Cycling Campaign, a group of volunteers who are passionate about making cycling safe, convenient and fun for everyone in the borough. We meet once a month on the third Monday of the month from 7.30 – 9.30pm. In odd-numbered months we meet in Edmonton Green, and even-numbered months in Enfield Town. Please contact us on info@enfieldcc.co.uk to check the venue before you come, and we can also put you on our meetings mailing list. 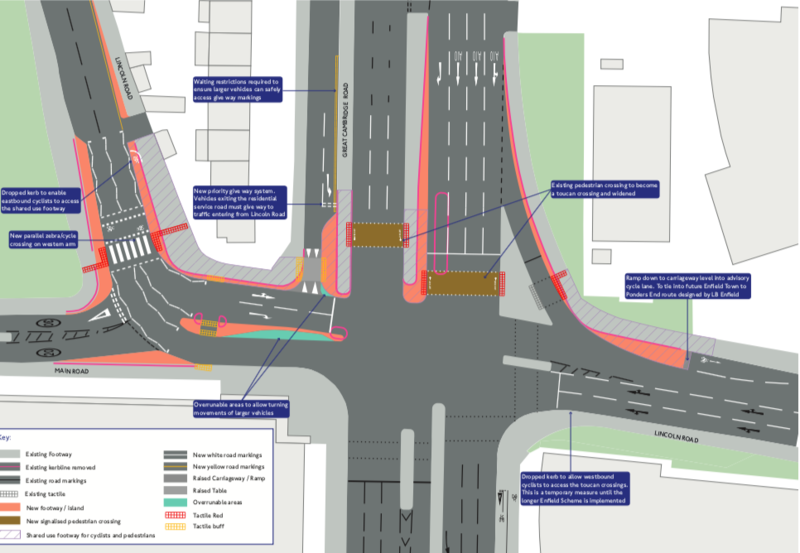 Meetings are open to all whether or not you are a member of London Cycling Campaign, although only members can vote. Our monthly meeting will be held on Monday 18 March 2019 at 7:30pm. The venue is Green Towers Community Centre, 7 Plevna Road, Edmonton N9 0BU. . This entry was posted in Uncategorized on March 16, 2019 by Clare Rogers. Our monthly meeting will be held on Monday 25 February 2019 at 7:30pm. The venue is Enfield Grammar School, Market Place, Enfield EN2 6AQ. Try a bike – should we run it again, who will help? This entry was posted in Uncategorized on February 16, 2019 by Clare Rogers. Our monthly meeting will be held on Monday 17 December 2018 at 7:30pm. The venue is Enfield Grammar School, Market Place, Enfield EN2 6AQ. This entry was posted in Uncategorized on December 15, 2018 by Clare Rogers. Our monthly meeting will be held on Monday 15 October 2018 at 7:30pm. The venue is Enfield Grammar School, Market Place, Enfield EN2 6AQ. This entry was posted in Uncategorized on October 15, 2018 by Clare Rogers. Our monthly meeting will be held on Monday 17 September 2018 at 7:30pm. The venue is Green Towers Community Centre, 7 Plevna Road, Edmonton N9 0BU. This entry was posted in Meetings on September 13, 2018 by Clare Rogers.